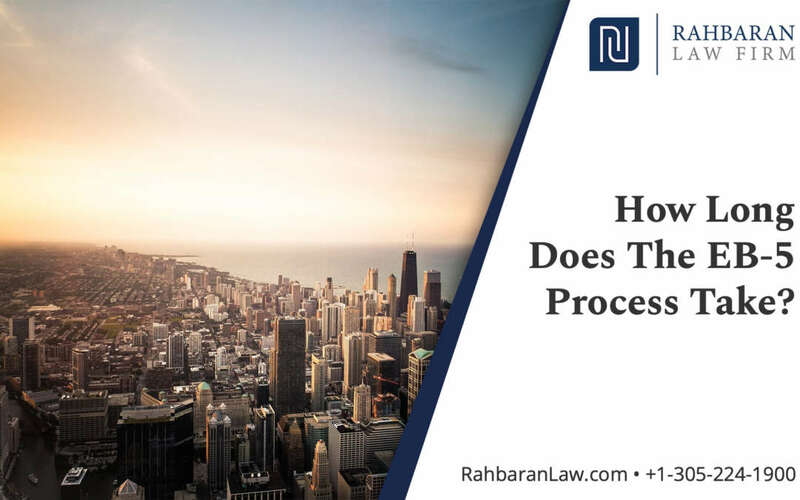 One of the most common questions for EB-5 investors has to do with the overall processing time their Petition will take to be approved, and will their investment option affect the time frame for approval. This question is normally followed by a more sentimental question: When will I be living in the United States? There’s no short and simple answer to these questions because there are many different components and factors to consider within the EB-5 process. Nonetheless, we will answer these questions in the most simple way possible. How Long Does It Take To Select The Right EB5 Direct Investment or EB5 Regional Center? Short answer: It can take up to two months, depending on the EB-5 investment path the investor chooses. When an investor decides to immigrate to the United States, it comes with a lot of sentimental weight behind it. Once the investor makes the decision to commit to an EB-5 Visa, he then has to either choose a Regional Center project or start his business plan for his Direct Investment. Deciding on a project sponsored by a Regional Center can be an easier decision for the investor that is looking for a safer investment opportunity. On the other hand, when the investor goes for a Direct Investment, he has to consider that this will be a high-risk investment, therefore, setting everything into place can take much more time. With the correct Immigration Counsel, the investor can get a clear picture of what he will be getting from his investment, alongside the risks and benefits he can expect to see from each investment path. How Long Will It Take For Your Immigration Lawyer To Complete Your Application? Short answer: Depends entirely on the Investor. For the Attorney to be able to draft an I-526 Petition, they rely on how fast the investor can have his Source of Funds documents ready. Once the investor´s Source of Funds documents are submitted, the Attorney can verify the legality of the funds and draft the Petition, this should not take more than a couple of weeks. Again, this is not definite because it can only be accurately assessed on a case to case basis. How Long Does it Take Your I-526 Form To Be Reviewed and Approved? Short answer: the normal waiting time can be of 24 to 26 months, but if the Investor chooses an I-924A Exemplar Approved project, the reviewal of their petition can take anywhere from eight to twelve months. Once My I-526 Petition Is Approved, How Long Will It Take for Your Consulate Interview To Be Scheduled? Short answer: anywhere from two to eight months. The reason for the large disparity in time here comes down to how backlogged USCIS is. There are only 10,000 yearly visas that can be approved by the government regarding the EB-5 Immigrant Investor Program. As a general rule, you should expect to wait a minimum of two months until the date of the interview, but you may also have to wait several months longer. Once the interview is complete, you will be legally allowed to enter the United States of America with a green card, which will be valid for two years. How Long Does It Take To File Form I-829? 90 days before your conditional 2-year Green Card expires, you have to submit the I829 Petition for clearing the conditionality of your Green Card. This Petition has to be submitted with sufficient evidence proving that the Investor´s capital contribution created at least ten full-time jobs for U.S. Persons. When Can You Apply For Citizenship To The United States? Short answer: It takes five years from when you first entered the United States as a Permanent Resident. For the Green Card holder to be able to request their Process of Naturalization, they have to stay a minimum of six months and one day per year, for a period of 5 continuous years. What Can The Investor Do To Speed Up The EB-5 Application Processing Time? Short answer: Get the petition filed as quickly as possible, and ensure that it is accurate and complete as possible too. The investor has to procure the services of high quality and experienced Immigration Attorney. This is absolutely essential to ensuring that the petition is both accurate and filed diligently. When Does The Investor Has To Fulfill The Capital Contribution, And When Can The Exit Strategy Come Into Effect? Per current USCIS requirements, the Capital Contribution and the Administrative Fee need to be committed to the EB-5 project BEFORE the I-526 petition is filed. As a side note, the investor can contribute the majority of the EB-5 funds before submitting, making a partial contribution, but he/she has to complete his investment before the I-526 Petition is approved. (Even though this is not highly recommended.) The Investor has to keep in mind that the capital contribution has to be maintained until USCIS has approved the I-829 petition. As we talked about above the only way to quicken up the process for your US residency and immigration through the EB-5 program is to get your petition filed as quickly as possible. So take action today and get started by contacting us here.